A female politician is in trouble with the law over corruption including illegal transfers of funds from her foundation to her own personal coffers. In fact, this politician has been convicted and sentenced to prison. That sentence could get extended due to her lying under oath. Want to guess who this person is? You’ve not missed any earthshaking news. It’s not Hillary. This criminal would be an Obama crony, but much further down on the pecking order from Hillary. She’s a former Democratic Congresswoman. And it might have crossed her mind to wonder why she’s going to jail and Hillary is not. At least so far. Democrat Corrine Brown is the former member of Congress on her way to prison. It turns out she set up a sham charity to raise funds. She then used those monies for personal enjoyment and expenses. Tragically, this sort of thing almost seems routine. 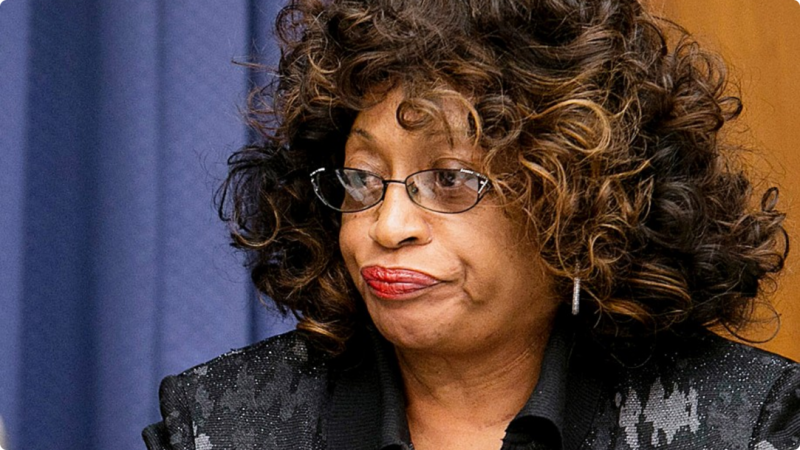 “Former Rep. Corrine Brown (D-FL) has been sentenced to five years in prison and a three-year supervised release for her role in using a sham charity — One Door for Education — to raise hundreds of thousands of dollars and then spending the money for personal use. What a disgusting display of selfishness and corruption. Imagine setting up a charitable organization to promote education only to turn it into a vehicle for personal enrichment. A lot of contributors got the shaft. And that’s not to mention any students who were to have benefited by this organization. Such was not to be. And maybe she ought to keep her mouth shut. A careful and thorough examination of “all she’s done in her life” might not return a pristine report. There is some truth to the adage that your are known by the company you keep. That being the case, remaining outside Mr. Obama’s circle of acquaintances is a great place to be.